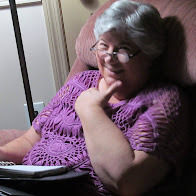 Before I left for the ACFW Conference last year, I jotted some notes on the back of a sheet of paper. I stuck it in one of the zippered compartments of the bag we received and completely forgot about it. Monday, I pulled the bag out of storage to cart supplies to my new writing place. This morning my helpful hubby stuck my junk drives into that zippered compartment before I left for “work.” When I pulled them out, I found the slip of paper I haven't seen since last September. The notes are written on a scrap of paper that has Psalm 121 printed on it. Did I do that on purpose? 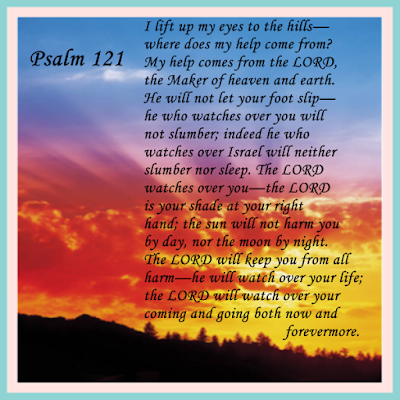 Did I print out Psalm 121 to encourage me while I was at the conference. I don’t remember. A coincidental thing happened that makes this more meaningful. After I returned from the conference and began revising my manuscript, I decided to add a scripture to the title of each chapter. 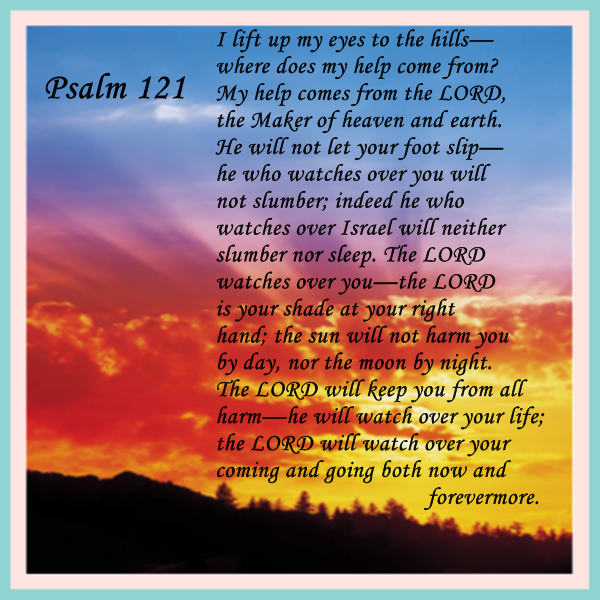 One of the verses I used was Psalm 121:5: The LORD watches over you—the LORD is your shade at you right hand--never remembering this was a scripture I took with me to the conference. This is one reason I love to write. The Lord reaffirms his love, his care for me as I pound out the words. This is the first post in the resurrection of my previous blog, Clearing Skies. I plan to focus on writing but will also post my reactions to events, places, things—whatever catches my fancy. You who created the vastness of the universe have everything under control. My life is in ruins when I take it upon myself to “fix” things as I have been doing. Give me the wisdom and the strength to rely on you, to trust you to guide my path. Give me the wisdom and strength to trust others on their own paths. I know you are with them and will guide them. Great is your faithfulness. Thank you for allowing me to rediscover Psalm 121 this morning. Thank you for keeping watch over me and shielding me from all harm. Help me to always seek to reveal you in my writing—as “foggy” as that image may be. Please clear my mind and clear my writing, and most importantly, clear me, make me transparent so that you may shine through me. Thank you, God, for the SHINE this morning. I needed it. QUESTION: How has God reaffirmed himself to you? Do you have a story you wish to share? We're coming up to 'resurrection' season - so indeed why not resurrect even such things as blogs. May we always bring our craft or art into resurrection life. Yep, Keith. And the Blog Chain theme is resurrection. I might post on resurrecting my blog.